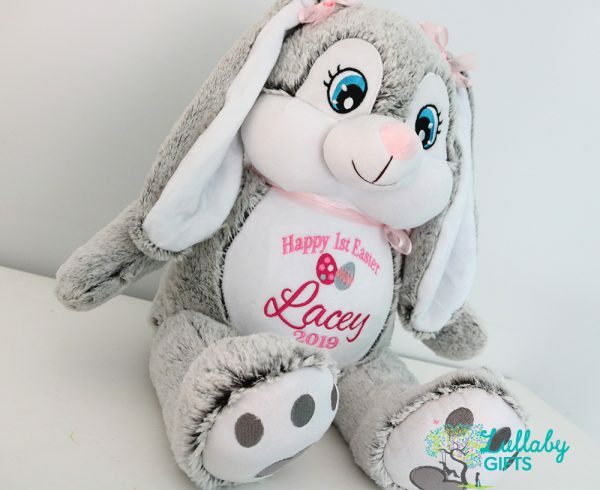 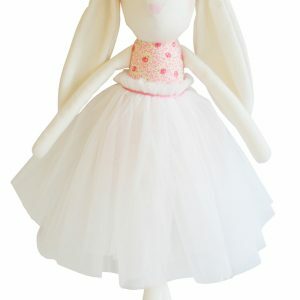 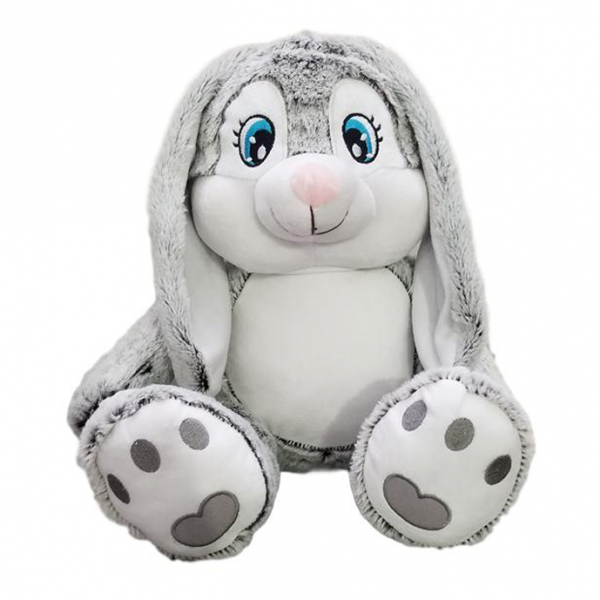 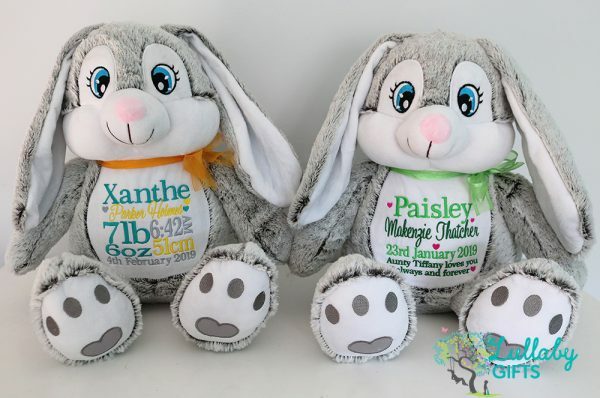 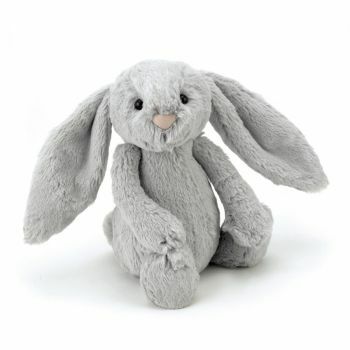 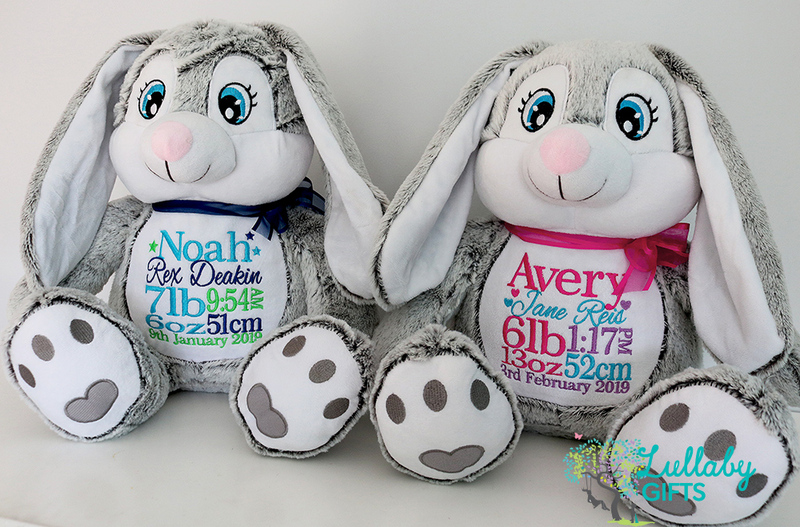 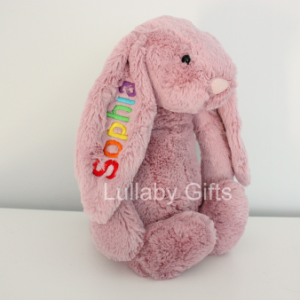 Personalise your bunny plush with many different embroidery options from the selection or you are welcome to custom your own message. 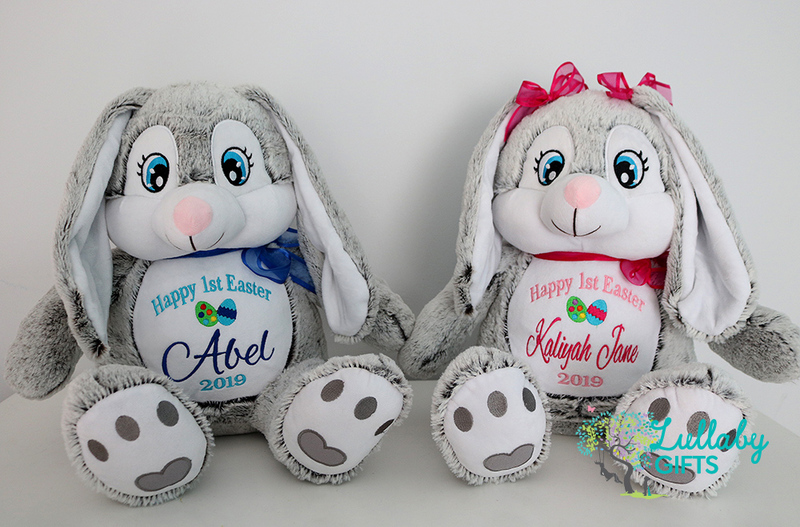 Once your order has been received you will be sent a template for your approval to your email before being stitched, if you have not received your template within a week please check your junk mail to save any delays. 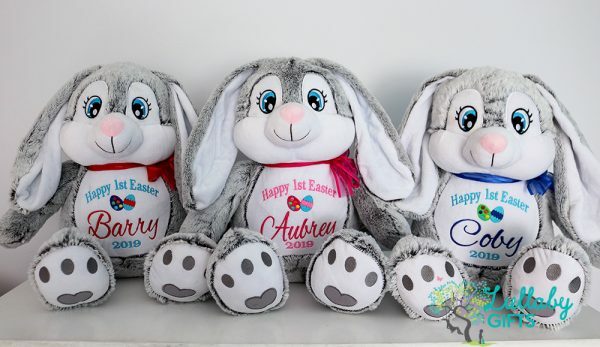 ORDERS FOR EASTER DELIVERY IS NOW CLOSED .. Wishing you all a Happy Easter.